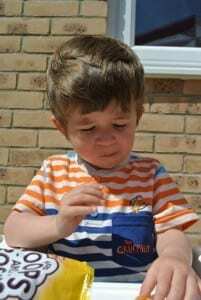 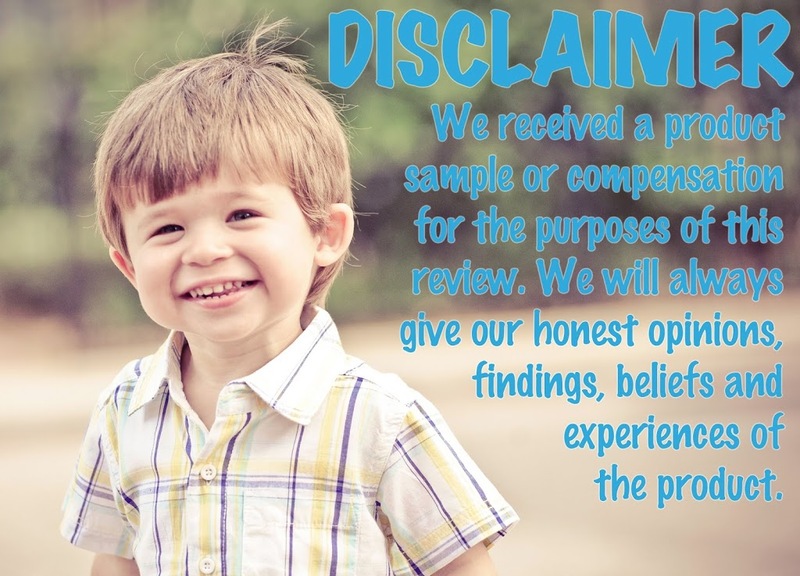 Finding food that Ethan will eat is a challenge, finding healthy food that Ethan likes is near impossible so when Walkers asked if we would like to try their new snack made with 56% wholegrain and containing no artificial colours or preservatives we gladly said YES PLEASE. We received a packet of Roast Beef Flavour Hoops and Crosses to try but they are also available in Salt & Vinegar and Prawn Cocktail Flavour. 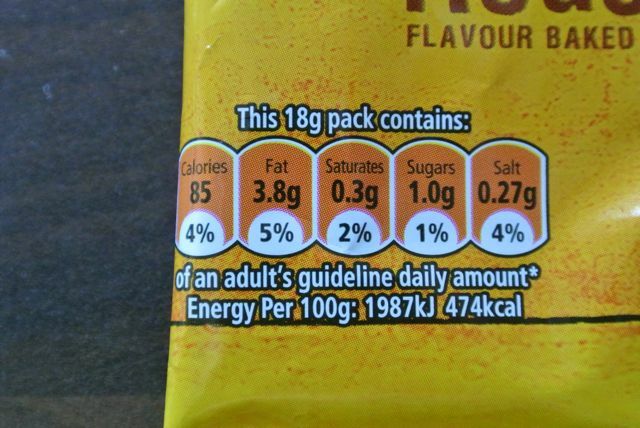 All flavours are suitable for vegetarians. 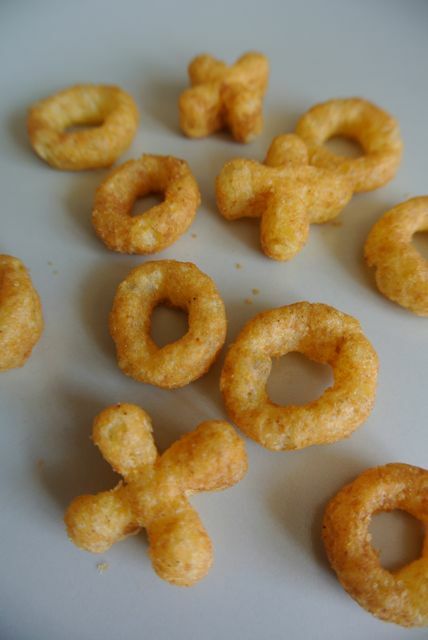 The crisps are shaped as hoops and crosses and I’m pleased to say that the packet is nearly full to the brim so will easily fill little tummies. 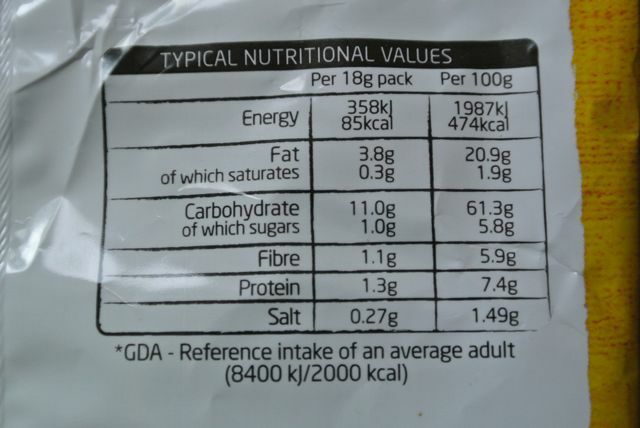 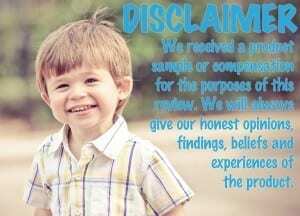 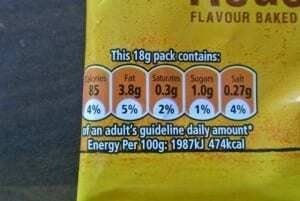 This is what it says on the pack about the nutritional value of the snack. After Ethan ate his lunch on Sunday afternoon we let him try the Hoops and Crosses. 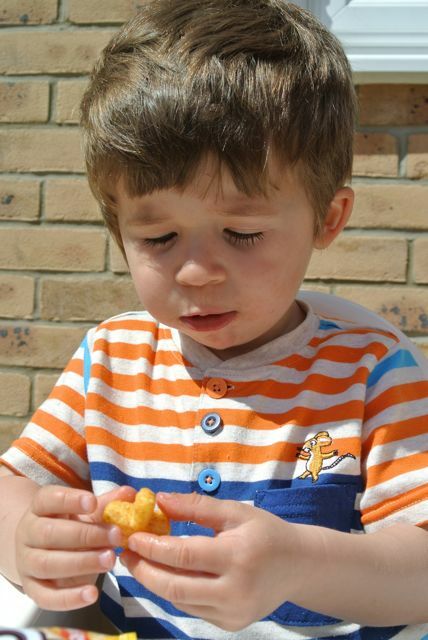 He dug in right away which really is positive as Ethan can be quite sensory about his food and if he doesn’t like the look of something he won’t eat it. 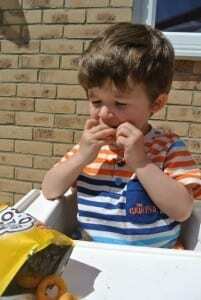 I don’t think I have seen him eat crisps quite so fast, he couldn’t get enough of them to the point that he showed us that he wanted more when he had finished. 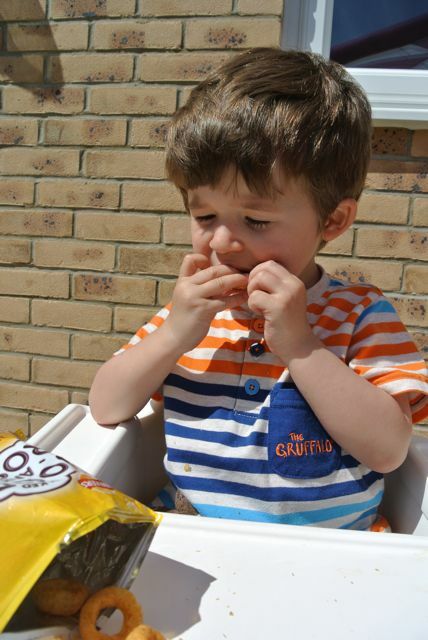 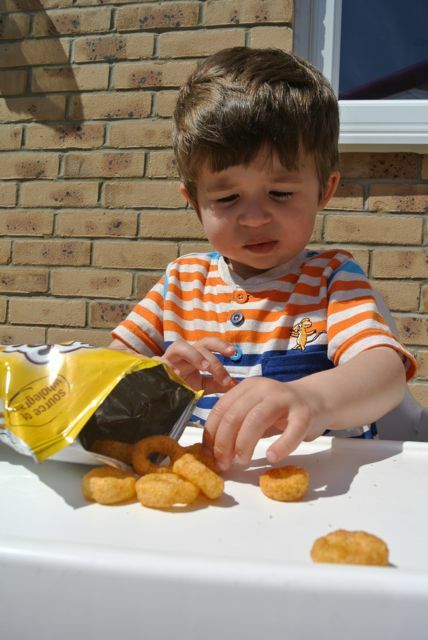 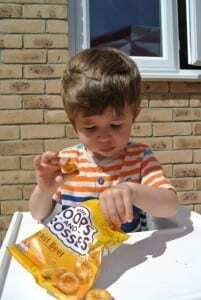 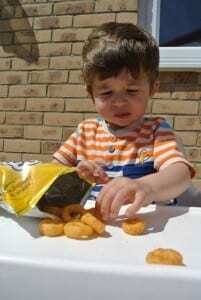 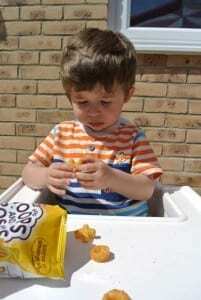 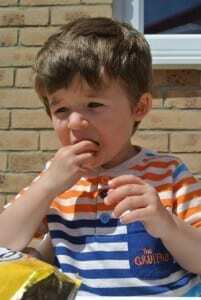 Our Verdict: The crisps are a great texture for toddlers, they feel like they could easily melt in your mouth. 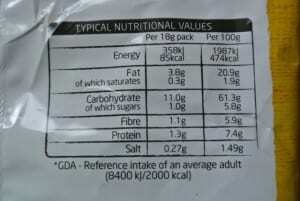 The flavour is amazing, strong but not overpowering and are so more-ish. 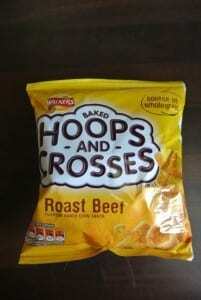 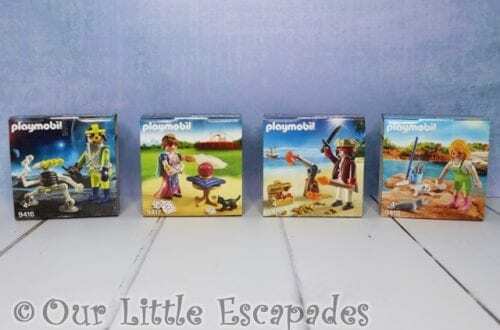 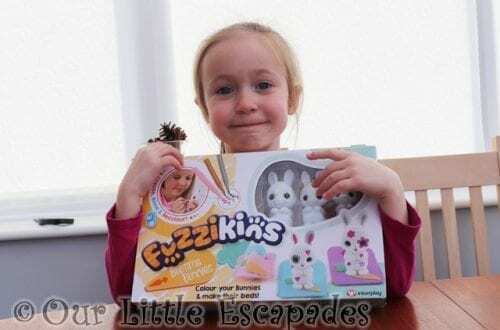 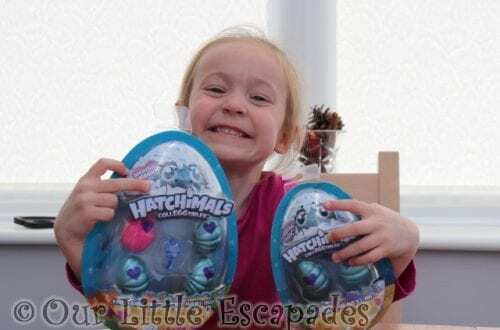 We all loved the Walkers Hoops and Crosses and are adding these to our shopping list as it was obvious that Ethan liked eating them and we want to try out the different flavours. This video shows just how much Ethan enjoyed his lunch time treat.